The global service integration and management (SIAM) market is predicted to grow at 6.0% CAGR during the forecast period with the market size reaching USD 5.4 billion by 2024. 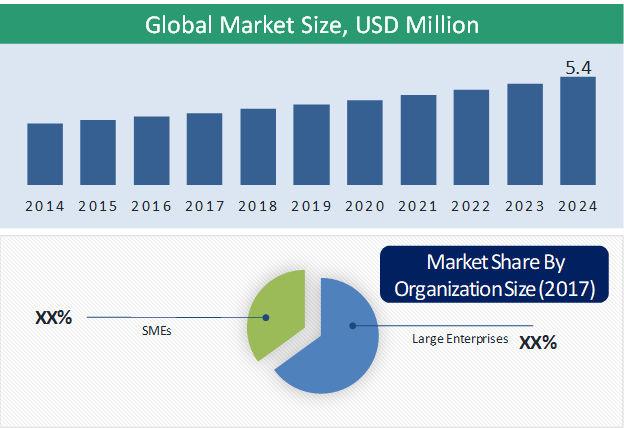 The major factor fueling the growth of the market include increasing demand for multi-vendor outsourcing, increasing demand for automation in business processes, increasing service management complexities, and development of cost-effective SIAM framework. Different business and technology solutions are contributing to the SIAM market size, globally. Based on solution, the SIAM market is categorized into business solutions and technology solutions. Among the two categories, technology solutions hold a larger share in the market and the business solutions market size is anticipated to witness the higher growth in the market during the forecast period. The business solutions is further categorized into governance, risk, and compliance (GRC) management, contract management, procurement, and auditing and invoicing. Of all the business solutions categories, procurement solutions hold the largest share in the market whereas the GRC management solutions market is anticipated to grow at the fastest CAGR during the forecast period. The technology solutions market is further segmented into an application, infrastructure, and training and support. Of all the categories the SIAM business solutions market for infrastructure category generated the largest revenue in 2017 and is anticipated to remain the largest category during the forecast period. The application technology solutions market is sub-segmented into lifecycle management, testing, and development; and the infrastructure technology solutions market is sub-segmented into mobility, network, security, data center, and others. On the basis of organization size, the SIAM market is segmented into small and medium enterprises, and large enterprises. Of both the categories, the SIAM market finds its larger application in large enterprises and the market for small and medium enterprises is anticipated to witness the higher growth during the forecast period. Based on service, the SIAM market is segmented into assessment & advisory, consulting & implementation, and integration & automation. Of all the categories, the consulting and implementation services hold a larger share in the market and are anticipated to grow at a CAGR of 5.3% during the forecast period. Based on industry, the SIAM market is segmented into energy & utility, BFSI, telecom & IT, transportation & logistics, and retail & manufacturing. The telecom and IT industry is the largest consumer of SIAM solutions across the globe as the telecom industry relies on a multi-vendor environment to offer services by sharing resources. The increasing demand for multi-vendor outsourcing, increasing demand for automation in business processes, increasing service management complexities, and development of cost-effective SIAM framework are the key factors leading to the growth in the SIAM market, globally. Most of the companies across the globe are adopting SIAM solutions for the management of complexities in the business services, especially in IT and telecom sector. With the increasing adoption of digital solutions and abundance of information and data, operations in these industries become very complex, thus requiring automation of these processes. Different vendors are offering solutions for service integration management to provide error-free, high quality, cost-effective and efficient service delivery. These solutions also help to reduce labor cost, increase operational efficiencies and enhance outcomes, thus driving the SIAM market across the globe. Increasing demand for automation in business processes is also boosting the growth of the global SIAM market. Business process automation (BPA) helps in making business simpler, increase service quality and also improves service delivery. Robotic process automation is an emerging field within business process automation and uses artificial intelligence. Thus, positively impacting the growth of the market. Key challenges faced by the SIAM industry players are the dearth of skill and expert professionals, reluctance in the adoption of new technologies. In addition, the lack of regulatory compliances and uniformity in service integration management solutions are also hindering the growth of the SIAM market, globally. Geographically, Europe has been the largest SIAM market, globally due to the developed information and communication technology industry, high regulatory compliances and high compliance for adopting new technologies by large enterprises in the region. However, the growth of the market in the region is anticipated to be comparatively slower than the other regions as the industry is anticipated to be mature and stagnant in the coming years. North America and Asia-Pacific are the major regions showcasing immense opportunities for growth in the SIAM market in the coming years. 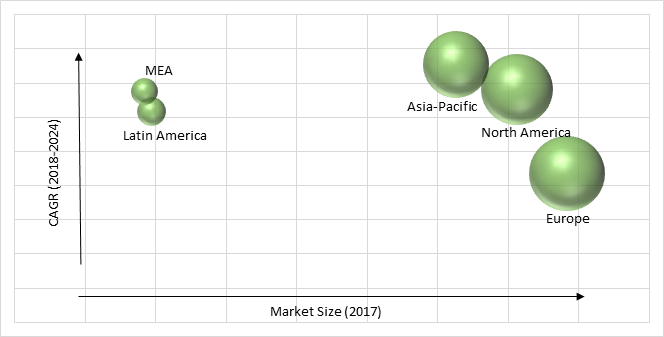 Asia-Pacific SIAM market is highly lucrative owing to its large consumer base, increasing reliance on multi-vendors for services, and the presence of large telecom sectors in the region. Also, developing the IT industry in the emerging economies such as India, and the Philippines is creating a suitable business environment for the SIAM solution providers. Market players in the SIAM industry are focusing on strengthening B2C relationship, and use of artificial intelligence and automation for catering to the demand of consumers. Atos SE, Hewlett Packard Enterprise (HPE), HCL Technologies Limited, Oracle Corporation, Tata Consultancy Services Limited, BAE Systems plc, DXC Technology Company, IBM Corporation, Capgemini, Accenture PLC, Infosys Limited and Wipro Limited are some of the key players offering solutions in SIAM industry.